It's time for another Product Spotlight on the Paper Issues Blog! Today's spotlight is on the super cute "Wish Season" collection by Fancy Pants. 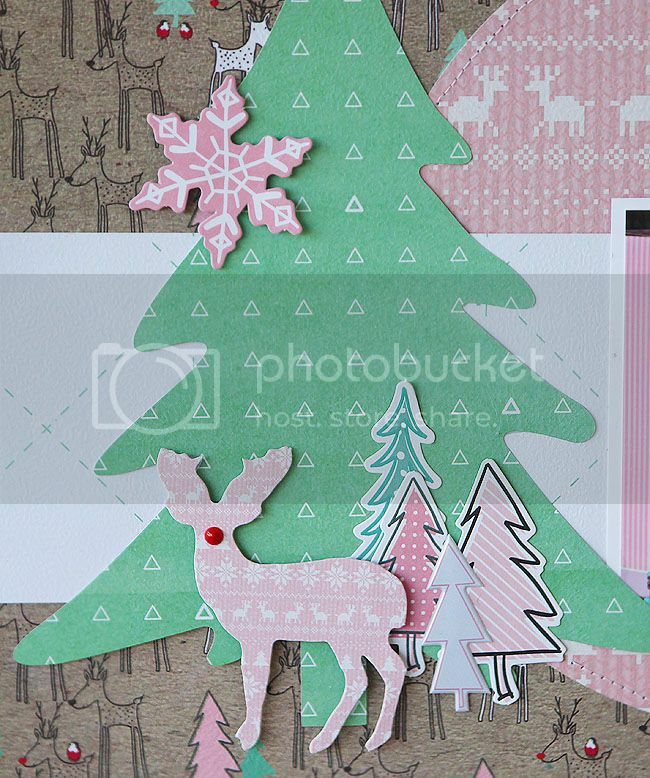 It's the perfect mix of Christmas colors with a bit of blue and pink and some wood grain added in too! Aren't those the cutest little trees!! I layered the die cut trees along with a tree puffy sticker on top of this Silhouette tree cut file. Next I added that sweet little deer with the red nose. As I was putting this together, I realized I didn't have anything red for his nose, so I colored an enamel dot with a red sharpie for the perfect red nose! As always thanks for stopping by, and don't forget to use code Mary Ann in the Paper Issues store for 20% off your order! !